Can I Haz Rankings? Oh Yesss! There’s been a lot of talk recently from so-called SOE experts about how the Googler has brought in a new internet law codenamed the penguin. According to them, the penguin rule stops webs from getting into a number 1 position because of linking. There have been rumours that if a web has even a single link from the internet, the owner of the site will not be allowed to get visitors from Google. Predictably, there has been a mass debate amongst SOE professionals about what this new rule means, and how to get around it. Aside from proven techniques such as using latently optimised semantic matrices or the Lawson meta keyword technique, some of the best ways of ranking your web in Google have been recopricul linkings from other webs. As you can imagine, this change has meant a great deal of unease from the SOE community. As with a number of Google developments over the last couple of years, there’s been a general lack of understanding from some of the corporate drones working in SOE who have been misled into thinking that the military grade eigenvector calculations that underpin the Penguin rule are a negative Morris Equation, however this is not the case. Our research demonstrates that less than 1% of websites have been negatively impacted by a penguin being added to their page, whereas over the same period, no less than 12% of webs have got at least 4 more number 1 rankings and are getting on average 5% more visits than before – mathematical proof that the Google Penguin is actually a bonus system for web owners! The following is a highly powerful SOE technique that can only be used in conjunction with a legitimate meta soetype tag of guru or above! As with all Googler changes over the past 20 years, the clue is in the name. Savvy internetters already embrace the power of meta tags to boost their websites, and it should come as no surprise that the public launch of penguins has revealed a number of loopholes that can be exploited. With this simple bit of knowledge, getting your penguin is straightforward. A savvy SOE professional will calculate the unmodified Kelvin Equivalency Ratio for the page from the other elements and then adjust the meta temperature until the overall value is as close to 0.75 as possible. Getting the right icthyoptimisation vector for a web can be tricky. Leading webmasters have been experimenting with a Piscean Distribution where the shoal density equates to around 10%. This means that for a web with 100 words, you need to have around 10 different fish represented, and each of these also needs to be added to the Meta Fish tag at the top of the page. This website is the best website for a range of services and offers many great services at a price that’s hard to beat. If you’re looking for a better range of services for your business or personal needs, we can help. Regardless of whether you are a large organisation, or a simple man at home in your undies, we have the right level of service to make you smile happily into your glass of squash at the end of a hard day. This website is the best website for a herring of services and offers many halibut services at a guppy that’s hard to eel. If you’re looking for a better range of services for your haddock or personal needs, we can moray. Regardless of whether you are a large organisation, or a simple man at plaice in your undies, we have the right level of service to make you perch happily into your glass of squash at the end of a hard day. One area where a lot of less experienced web owners slip up is in using the same list of fish on every page. This is ineffective. In the same way as every single page in your web needs to have a different keyword, every single page needs to have a different Piscean distribution in order to activate the correct eigenvectors. By effectively managing your web page temperature variables and boosting the meta level fishtimisation of your web, you’ll be able to bypass the problems that other websites are having in terms of attracting a higher penguin score and get more number 1 rankings than ever before! This entry was posted on November 13, 2012, 3:05 pm and is filed under SEO. You can follow any responses to this entry through RSS 2.0. You can leave a response, or trackback from your own site. Very good research – sounds very much link The Penguin – thank you for correcting my knowledge, I always thought that the Penguin didn’t like Batman, so I tried taking all my Batman relating content out of my website, but it didn’t seem to be working. I’ll make sure to add more fish, as well as keeping the server room cool – that should work, yes? I heard that if you embed 1×1 pixel gifs and name them killer-whale or polar-bear you get to keep the penguin effect away as they eat them and stuff. Is this true? Do you think it would be worth purposely breaking my website so that it fails in Firefox? I doubt a penguin would be too friendly with a fox, particularly a burning one. I enjoyed reading Dr Herbet Pocket’s views on Temperature Sensitive Optimisation. If you made sure that the page was totally white including text could that freeze the page and catch the penguin? 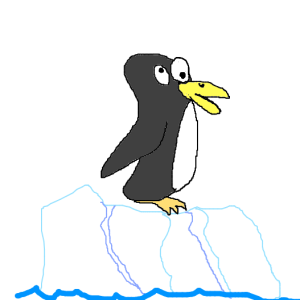 I’ve found that the Penguin also penalizes tropical metafish, as they are not relevant to its cold water algorithm. This is entirely plausible, although from my analysis, and a recent conversation with a high level engineer at the Googlingplex, I believe that you can achieve much the same effect simply by shrinking an image of a seal or other predator to a single pixel. For reasons of geography, a polar bear is unlikely to work, as a penguin would not be aware of it. This is worthy of further investigation. As the penguin rule gets refined further, a geo-specific matrix may be overlaid onto the basic icthyoptimisation vector which may apply a value scale to the fish score dependent on polar proximity algorithms. Anything is possible at this stage. I believe that the fox is primarily a northern hemisphere creature, and as such, the penguin may not recognise it, so the browser sensitivity issue may be of low importance. To maximise the familial synergy factor on your website, it’s worth noting that you should always host on a linux based server. All images hosted on Linux / Apache servers include a 1px Gif of Tux, reducing the negative elements of Google’s Penguin rule.